In this heads up sng strategy article, Cog Dissonance outlines a logical thought process for assessing which type of villain we are playing against. Note: This article is mainly geared towards new and lower stakes heads up poker players. The content of this article does not always apply to more difficult high stakes thinking opponents that can more easily adjust and manipulate their image and tendencies. Don’t start the match too aggressively, you want to hear what the villain has to say, not batter him into submission with your aggression. How often is he raising? How often is he calling your raises? What hand quality does he turn up with for these actions? 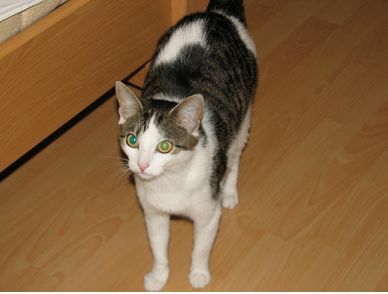 The Name; The name Mientjeuh originates from a friend's cat, which has since been given away. She lives on a small farm now. The name carries over to the tables. Me: How old are you and how did you get started in poker? I receive a lot of emails and read a lot of forum posts asking how to get the most out of heads up sng coaching. Personal situations and solutions tend to vary a lot, but being fully aware of your options and new ideas should drastically improve the value you receive from coaching. The most important thing you can do to make sure you get the most out of heads up sng coaching, or any other heads up sng training tool, is to have a good work ethic. Even the best coaches will not provide good value to a player that does not take the time to utilize the information provided to them. Conversely, a great student that studies hard and asks good questions can often make what is usually a marginally valued coach a great value for them.